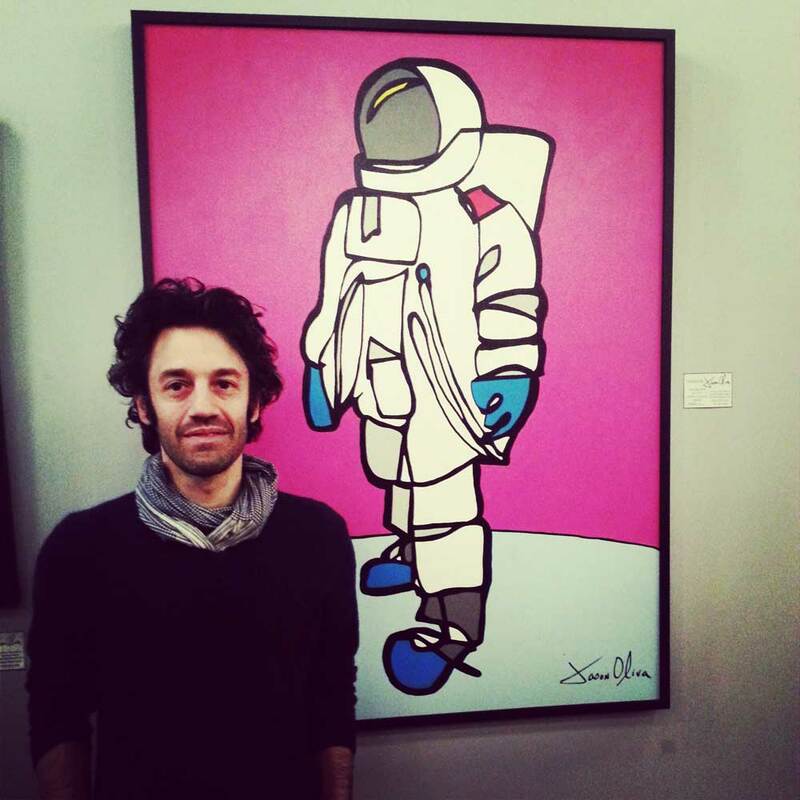 Jason Oliva [Wine] was formed in 2010 and is owned by NYC artist Jason Oliva. 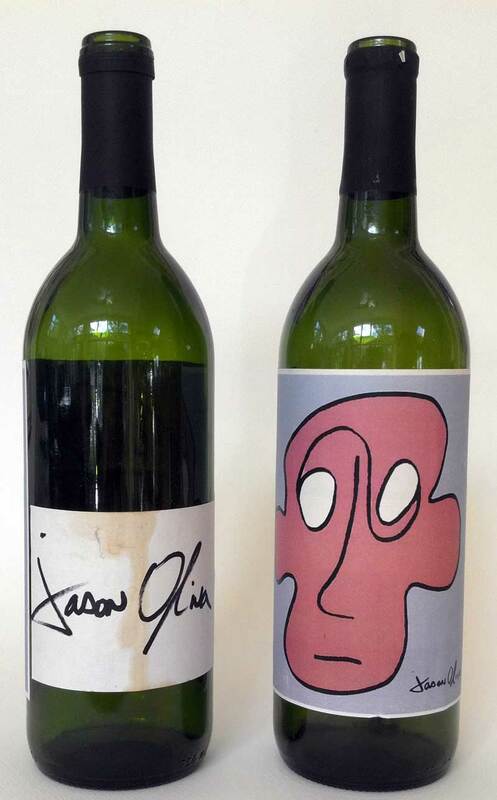 His creative goal is to annually produce an exclusive, limited edition, vintage wine that showcases Jason’s artwork in the form of a wine label. Each bottle is hand signed and numbered by Jason. Jason Oliva the painter meets Dirk Roos the winemaker. In 2010, Jason commissioned South African winemaker Dirk Roos to create [Stripey Horse] 2008 – the first release of Jason Oliva [Wine]. Dirk Roos in South Africa perfecting his blend for Stripey Horse. First art show, first wine label. A decade or so later in 2000 and directly influenced by Haring, Jason painted and printed his own labels for the wine that was going to be served at his first art show in New York City. Many of the empty bottles that were taken away by guests at the end of the night are still on display in collector’s homes to this day. 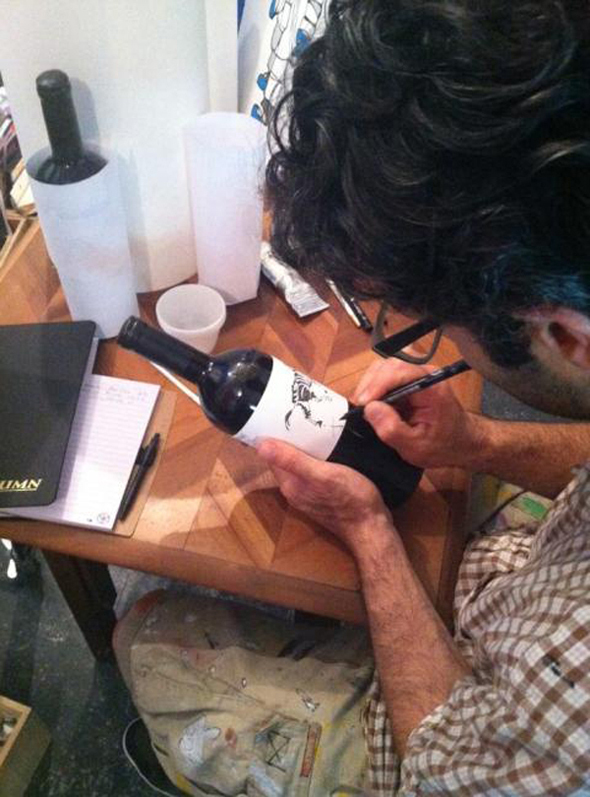 Lets turn the winemaker/artist relationship on its head. Then in 2010 Jason met South African winemaker Dirk Roos at New York Vintners in Tribeca, NYC. Not only did their meeting reignite Jason’s interest in showcasing his artwork through the medium of a wine label but it also occurred to him that perhaps, with Dirk’s skills as a winemaker, he could flip the Rothschild/Haring idea on its head. In other words, instead of the winemaker commissioning the artist, Jason the artist would commission Dirk the winemaker to produce the bottle of wine on which his artwork would appear. James Rosenquist in Front of Stripey Horse with Jason Oliva during a studio visit. People had been commissioning me to make paintings for years and I had grown to understand the amount of trust and freedom that I am granted during that process. I also know the enjoyment people get out of commissioning artwork so I thought the best way to further explore those ideas and learn more about my position in the world as an artist is to get on the other side of that notion and experience what it would be like to commission another artist – i.e, Dirk. 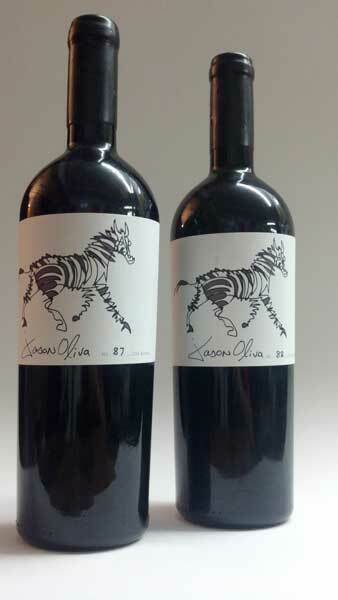 And so Jason Oliva [Wine] was launched and in 2012 Stripey Horse (2008) was born. Stripey Horse lands in NYC…the reviews are in. Stripey Horse (2008) arrived in New York City on June 14th 2012. And what a day that was! The wine went on to meet with excellent reviews and won several tastings against other prestigious wines. The 250 bottle, 20 Magnum, limited edition release also sold out, with many people purchasing individual bottles, multiple bottles, cases and magnums for gifting, sharing, collecting, saving for special occasions and … of course … drinking. Whatś in store for the future? 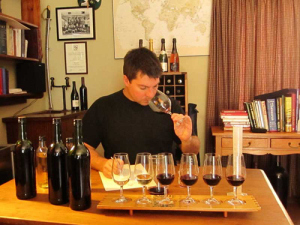 Jason Oliva [Wine] has continued to annually release a bottle of wine that incorporates the same creativity, quality and integrity that the maiden vintage, Stripey Horse (2008), established on its initial release in 2012. Now with the third release of Jason Oliva [Wine] – MOOSE (2011) – which arrived in NYC in 2017, there is much to look forward to. We invite you to join the Jason Oliva [Wine] family by adding your name to our Wine Allocation List.